For Win 8 and 8.1 with 30 gigabytes to reach rather, it depends on how many other programs you must install on the boot disk partition (or you want). To: How big is Windows 8 (8.1)? Size of Windows 8.1 on Local Disk (C:) after installation! Windows-8 - FAQ-5: How big should be the Windows 8 and Windows 8.1 disk partition size? The "Command Prompt" is one of key features in Windows 8, 8.1 and Windows 10, easy find and start run the cmd.exe in normal and admin mode Content: 1. How big should be the Windows 8.1 disk partition, how many gb's for typical windows 8.1 install? How much space does windows 8.1 need? When i install window 8.1 my one partition of hard disk had gone? How do i increase partition size in onebutton restore in windows 8.1? What is the minimum size of the c drive in windows 8.1? Partition with windows 8.1, windows 8.1 disk is how many gb? How much disc space needed for windows 8.1? Windows 8.1 hard disk partitioning how big system partition? How many gb is windows 8.1? How much space required for windows 8.1 boot partition, how many megs is the windows 8.1 pro download? How big a partition for windows 8.1? How much gb will you need to install windows 8.1, how many gb does wi 8.1 pro use? How large should I make a windows 8.1 partion on a macbook? How big should be the Windows 8.1 disk partition? How much space should I partition for windows 8.1? How much space for windows 8.1 partition, gigabyte windows 8.1? How big drive c partition windows 8.1? What is windows 8.1 partition hard drive, virtual machine partition winodw 8.1 size? How much hard disk space does windows 8.1 take, how much giga bites you need to install windows 8.1? How big of partition do i need for windows 8.1, how big is windows 8.1 after install? How big of a partition for windows 8.1, how much gig is needed for windows 8.1 preview? How big should my hard drive partition for windows 8.1 be? HOW MUCH SPACE IS A TYPICAL WINDOWS 8.1 PRO INSTALATION? How big in gb is windows 8.1, how much harddrive for windows 8.1? How big should i partition hard drive for windows 8.1 system file? How much harddrive space for windows 8.1 after install take, how many gb for windows 8.1? How big a hard drive is needed for windows 8.1, how many partitions are allowed in windows 8.1? How big of hard drive do i need for windows 8.1, disk partitioning in windows 8.1? How big is an windows 8.1 ultimate installation? How much harddrive space does windows 8.1 require, recommended size partition windows 8.1? How much space is required for windows 8.1 eg. how much does windows 8.1 take out of space? How big should by system partition be? windows 8.1? How big of a partition for windows 8.1? How big should a Windows 8.1 64 image partition be? How many giga does solid works needs to be installed? What is the disc partition size for Windows 8.1? Should download folder be in the same partition as windows? How many gb in windows 8.1 starter? How big a partition should I make for windows 8.1? How big in megabytes does a partition need to be for installing windows 8.1 pro? How much space will windows 8.1 recovery image take? How big of a partition does windows 8.1 need? Do i need to partition my hard drive for windows 8.1, windows 8.1 how many mb? How large a partiton does windows 8.1 require? How much space do i need to install windows 8.1 profesional? How big should the partition for windows 8.1 be, how many gogabites is the windows 8.1 download? How mmuch disk partition is required for windows 8.1, how big harddrive do i need windows 8.1? How much space do i need for win 8.1 professional, how much hard drive space does windows 8.1 need for vm? How many gb free space needed for windows 8.1, windows 8.1 system partition size? How big of a partition do I need for windows 8.1? How much gig is needed for windows 8.1 preview, how big is windows 8.1 instalation? What size is windows 8.1, how many gigabytes is windows 8.1? How big is the windows 8.1 boot partition, how big is the windows 8.1 install? How big is windows 8.1 recovery partition,hard disk image file in windows 8.1 is taking big space? How much harddrive space does windows 8.1 need, how big should windows 8.1 partition be? How much space should i partition for windows 8.1, recommended windows 8.1 partitioning? How much partition will i make for windows 8.1, how large of a partition does windows 8.1 need? How much harddrive space does windows 8.1 require, why does windows 8.1 need 4 partitions? What is the recommended boot partition size for Windows 8.1? Windows 8.1 partition, windows 8.1 gm activation? What size hard drive do you need to run windows 8.1 setup? Installign windows 8.1 how many gb partition, how many gigabyte required in bootable? How big of a hard drive does windows 8.1 need to install or how big of a hard drive do i need windows 8.1 to run on? How big boot drive windows 8.1 pro, how big is windows 8.1 when installed? Recommended partitions for windows 8.1, windows 8.1 partition disk size? How much harddrive space is required for windows 8.1 partition? 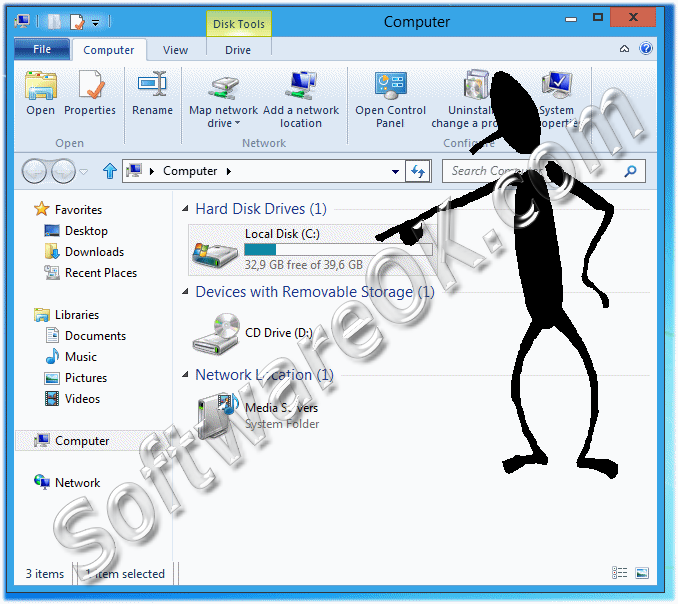 How big should the cd space for win 8.1 need to be? How much memory does a recovery disk need windows 8.1? How many free gigs for windows 8.1, Size of windows 8.1 ultimate? How large should primary partition be for Windows 8.1? How much space windows 8.1 needs, windows 8.1 os how many gb? Installation space for windows8.1, while installing windows 8.1 how much space? 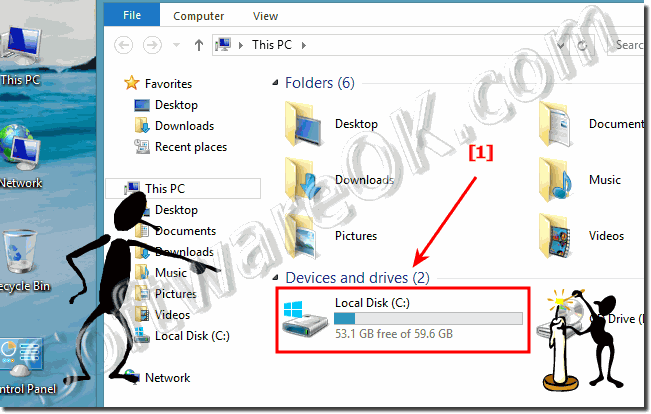 How large partition system drive windows 8.1? Recommended hard drive partition size for windows 8.1? What is the size recommended for partition c: in windows 8.1? How big does a partition need to be for windows 8.1? How much partition space does windows 8.1 need to run? How much harddrive space does windows 8.1 use, how big is window 8.1 files? How much computer space do i need to install windows 8.1? Can i repartition my hard disk with windows 8.1 installation, how large a file is windows 8.1 how many MB? How big is the windows 8.1 recovery partiton? Win8 parititon, how much is windows 8.1, how big is window 8.1? How big of partition do i need for windows 8.1 pro, windows 8.1 pro, how many gb? How big should the windows 8.1 install partition be? How big should I make a windows 8.1 32 bit partition? How many gigabytes does windows 8.1 need on windows 8.1 hard drive partition? How many gb for windows 8.1 partition 64? How big in megabytes does a partition need to be for installing windows 8.1? How many gb does windows 8.1 take, how big a partition for windows 8.1? How big is windows 8.1, how many gb windows 8.1? How big should my windows 8.1 emergency partition be? Partition size for windows 8.1, how large of a partition does windows 8.1 need? Windows 8.1 installation hard disk partition, how big is windows 8.1? How big is win 8.1 program, how much hard drive space does windows 8.1 need for vm? How big should i make my windows 8.1 hard drive partition? What size partition is required to install Windows 8.1? How many gig for windows 8.1 partition,how big should my windows 8.1 partition be? How big does a system partition have to be in windows 8.1? How big of hard drive does windows 8.1 support, how much space does windows 8.1 take on a hard drive? How many GBs does dwindows 8.1 instalation need? How much hard disk space does windows 8.1 require? Which link to look at how much space I have on on windows 8.1? How big to make win 8.1 parition? Install of win 8.1 a required drive partition is missing, how many gig is windows 8.1 download? How big is windows 8.1 on disc? What size is windows 8.1 on disk, how many gb does windows 8.1 take? How much is windows 8.1 installation size, windows 8.1 os takes how many gb? How big should i make my boot partition for windows 8.1? Partition in windows 8.1, Windows 8.1 recommended partition size? How large should my windows 8.1 partition be? How big is windows 8.1 ultimate on a harddrive? How much free gb is needed for windows 8.1 pro, partitioning hard disk windows 8.1? How big of a hard drive do i need to install windows 8.1?